Reading Transport Fleet List: 936 was in service on ordinary Reading services today. Thanks to Steve Wickens for this. News Page: YN07 LHO entered service on 19th July, and is on loan to cover for 1-12 whilst each go away for warranty work. Therefore once 1-5 have been treated it will transfer to Newbury to cover there. It has been given temporary fleet number 600. Thanks to Brian Coney for this. Reading Transport Fleet List: 514 was withdrawn on either 12th or 13th July, and went with 912-5 to New Zealand on 18th July. 516 was withdrawn on 20th July. 604 first entered service on 16th July (replacing 514), 603 on 20th (replacing 516) and 601 on 25th. 605/6 are currently away for repaint, but 605 may return this week. Thanks to Brian Coney for this. Reading Transport Leyland Olympians: New photo of 15 with Peter Godward Coaches added. Thanks to Simon Oliver for this. News Page: Scania OmniLink Demonstrator with photo. Thanks to James Cusworth for this. Reading Transport Fleet List: Scania OmniLink demonstrator YN07 LHO has been in use since at least 19th. 935 was in use on ordinary town services yesterday, as well as 931. Thanks to James Cusworth for this. Reading Transport Fleet List: 912-15 departed for New Zealand on 18th. Thanks to Mac Head for this. 601 was in service today. Thanks to James Cusworth for this. 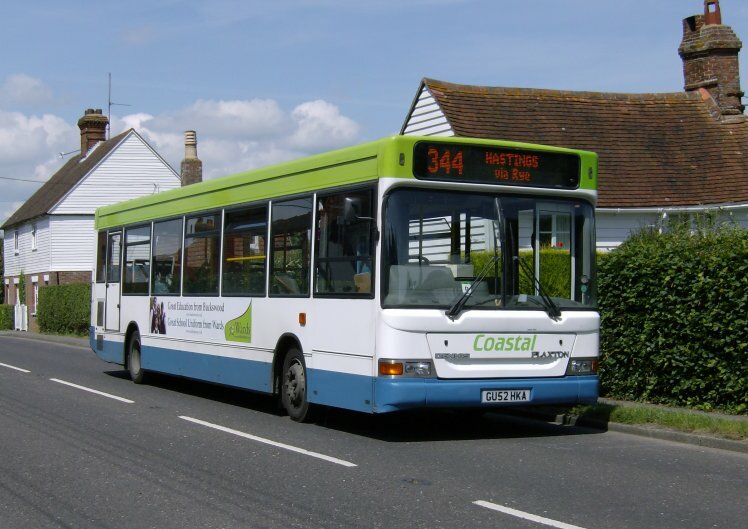 931 is probably now in use on ordinary town services. First Berkshire Fleet List: 20601-3 entered service today. Thanks to John Wheeler for this. 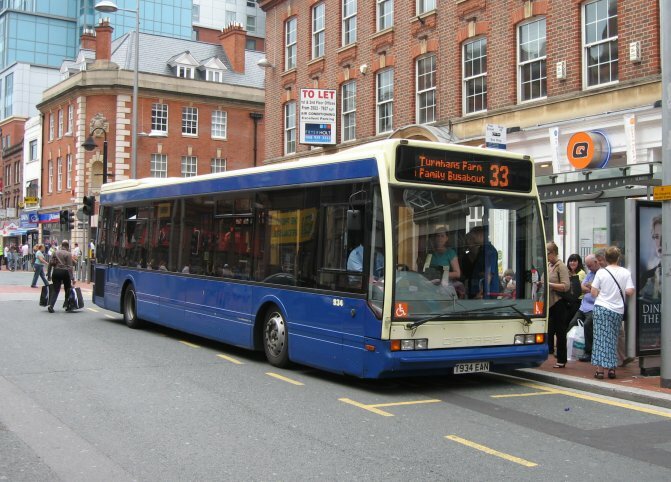 Reading Transport Fleet List: 933 was on ordinary town services today. Reading Transport Optare Spectras: New photo of 705 with AVT added. Thanks to Ian Davey for sending this photo by Noel Clark. Stagecoach in Oxfordshire and Warwickshire Fleet List: 31328 has transferred from Nuneaton to Rugby, whilst 31357 is in reserve for body modifications. 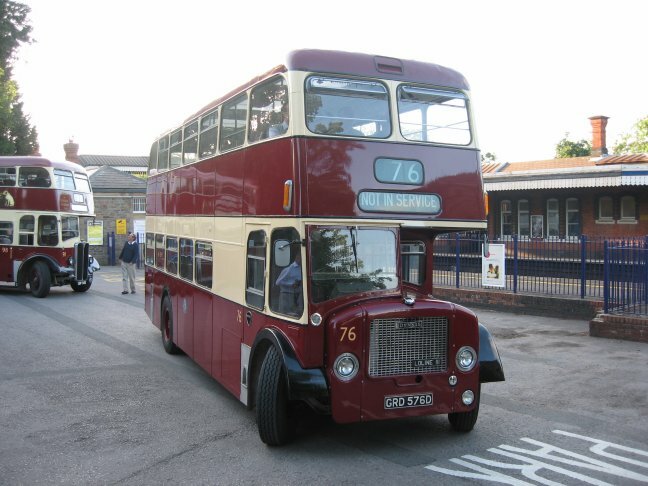 20224 has lost its route 86 branding upon repaint whilst in reserve. Reading Transport Fleet List: 603 was in service today. FastTrack 932 was confirmed on ordinary town services yesterday (thanks to Andrew Cameron and Derek Bradfield), and 934 today. 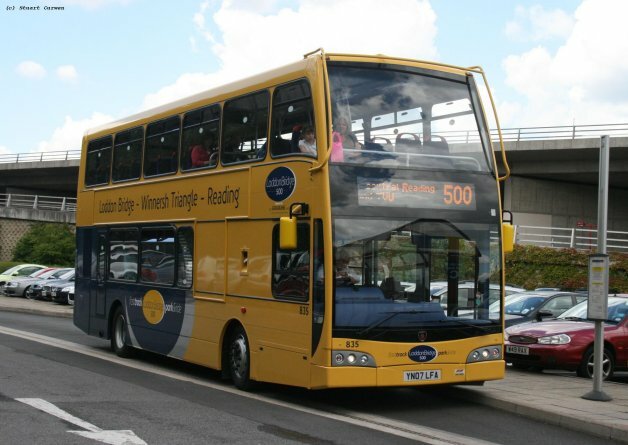 Reading Transport Fleet List: 604 was in service yesterday. Thanks to Barry for this. 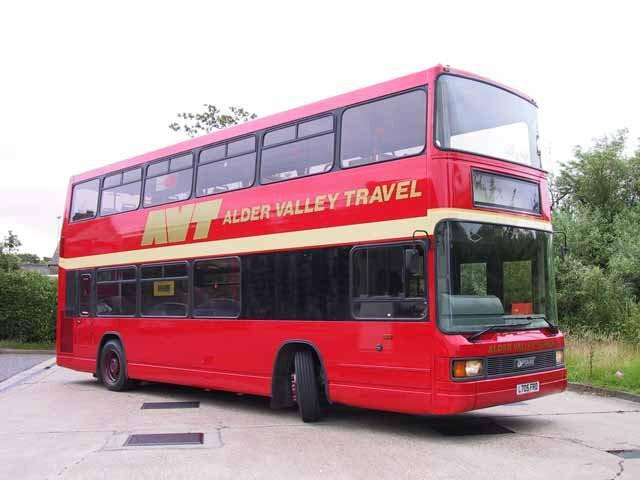 Thames Travel Fleet List: 356 has been repainted into Save Fuel livery. Stagecoach in Oxfordshire and Warwickshire Fleet List: Withdrawn 32625/6 are to transfer to Stagecoach South tomorrow. 52251 has returned to Oxford from rectification work at Plaxtons, having been away since late April. It has now lost its Scottish route branding, and is about to be repainted into a slightly revised training livery. 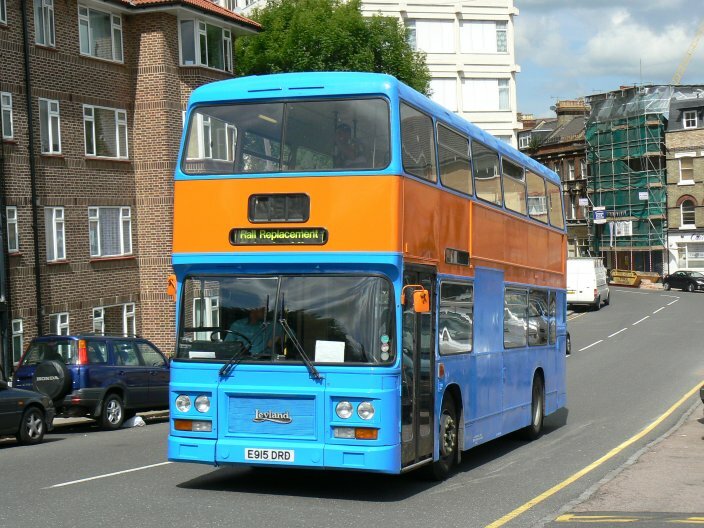 Reading Transport Fleet List: 839 has now been delivered and was in service today. Thanks to Andrew Cameron for this. Stagecoach in Warwickshire: New photo of 31322 added. Thanks to Keith Wood for this. Stagecoach in Oxfordshire and Warwickshire Fleet List: Alexander bodied Olympian 16580 is reported to be an additional bus on the way for the open top tours in Stratford having been deroofed in service at Barnsley. Thanks to Richard Sharman for this. 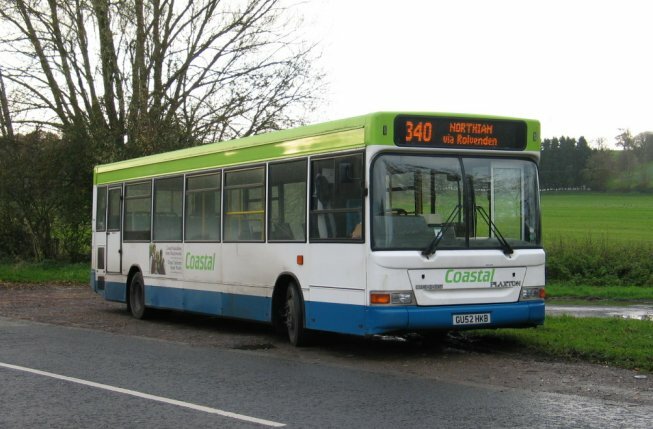 Reading Transport Fleet List: 840 was also in service on the afternoon of 13th. Thanks to John Wheeler for this. 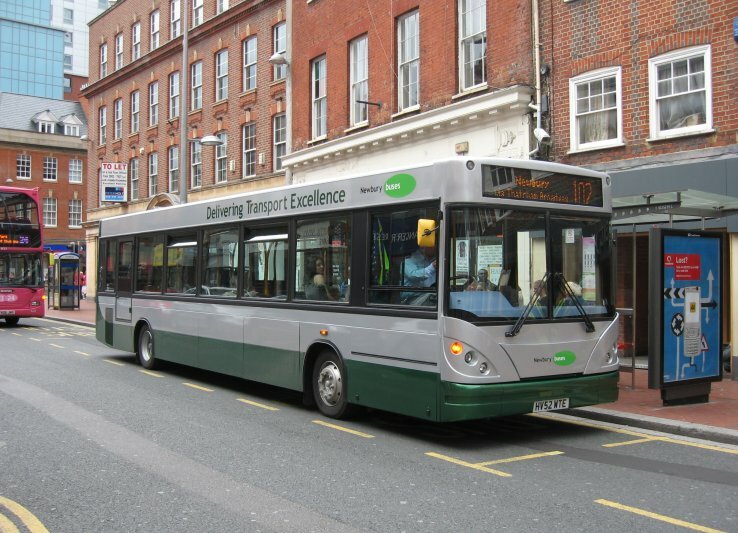 Reading Transport Fleet List: 840 entered service today. Reading Transport Fleet List: 913 was withdrawn on 12th and 912 on 13th and have had their destination glasses swapped with two FastTrack Excels. Meanwhile 932 was fitted with a cash vault on 13th so may be in service on normal Reading services on Monday 16th. 931-6 are all to transfer to ordinary Reading services shortly in base blue livery, with 912-5 to be exported to New Zealand. Thanks to Brian Coney for this. First Berkshire Fleet List: 41165-8 are in reserve at Slough. 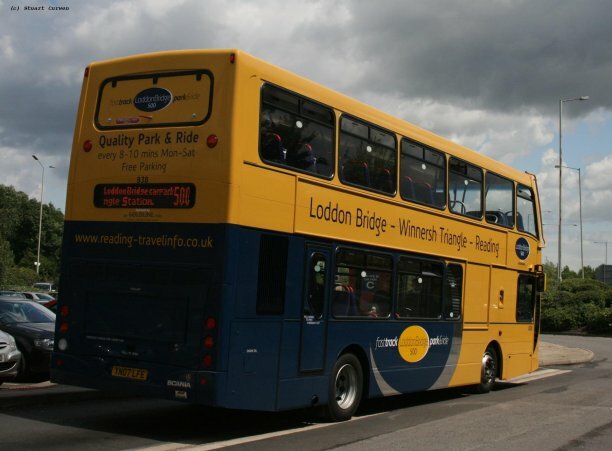 42412 has now lost its blue Legoland ColourBus livery in favour of First Corporate livery. 42414, which incorrectly displayed fleet number 42412 for a time has probably had this corrected by now. 42341 has received a new ColourBus livery for Lakes Panasonic in place of First low floor livery, presumably to replace withdrawn 46926. Thanks to Stephen Le-Bras for this. First Berkshire Fleet List: 20601-3 have now arrived, with 20601 in use on type training. Reading Transport Dennis Dart SLF: New photo of 606 with Coastal added. Thanks to Paul Gainsbury for this. 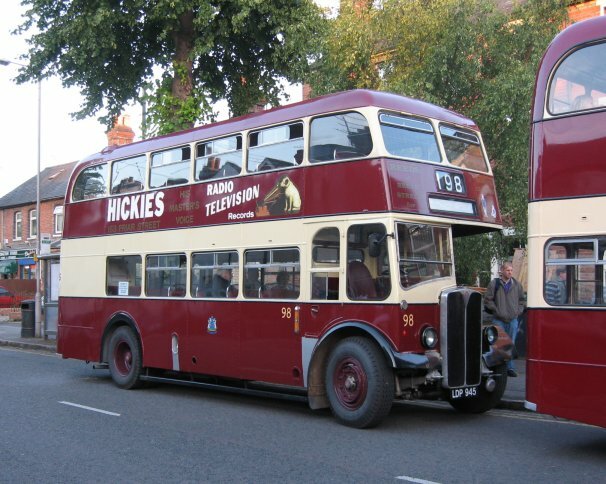 News Page: New Look for Newbury with photo of 604 in the new livery. Thanks to Brian Coney for this. Reading Transport Fleet List: 836 entered service today whilst 837 entered service on 9th. Various thanks for this. Stagecoach in Oxfordshire and Warwickshire Fleet List: 34119 has entered service at Nuneaton. Thanks to Keith Wood for this. 31321-4 have received branding for route 86. Reading Transport Fleet List: 837 was in service today. Thanks to Simon for this. Meanwhile 606 was delivered from Coastal to Southdown PSV today, so should arrive at Newbury soon. Thanks to Paul Gainsbury for this. Reading Transport Dennis Dart SLF: New photo of 605 with Coastal added. Thanks to Paul Gainsbury for this. Stagecoach in Oxfordshire and Warwickshire Fleet List: 16537 entered service on 7th. 16538 and 16555 have recently gone to South East Coachworks for open top conversion. Thanks to Richard Sharman for this. Reading Transport Fleet List: 835 and 838 entered service today. Thanks to Stuart Curwen for this. 839 is currently on demonstration in Ireland. Oxford Bus Company Fleet List: 905 arrived from Go North East on 22nd June and awaits service. At least two Dennis Lances from Diamond are also present, including K301 YJA apparently for training duties. 84-86 have had their registrations changed from OXS back to OXF whilst others still retain their OXS marks. Stagecoach in Oxfordshire and Warwickshire Fleet List: Nuneaton 31355 has returned to service and 20209 has been repainted, loosing its branding for the 56/57. Thanks to Keith Wood for this. 20225 now appears to be out of use at Rugby with route 86 being operated by Volvo B6s. 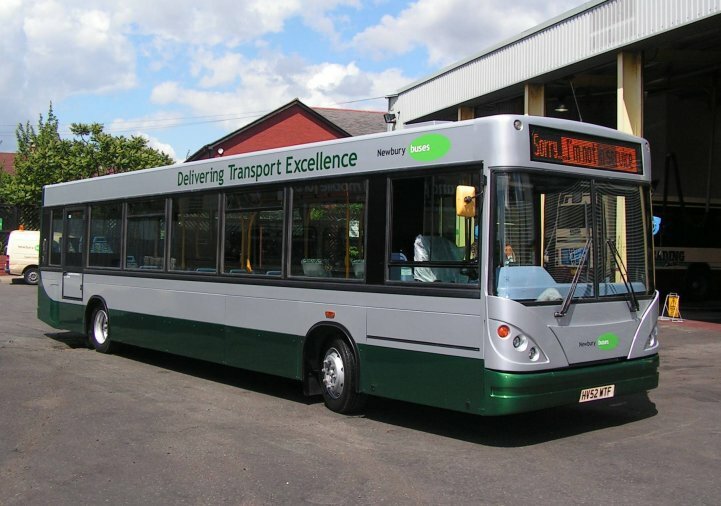 Reading Transport Fleet List: 501 has been registered RX07 RKV, whilst 835-40 will be YN07 FLA/B/D/E/F/G. All except 839 have now been delivered, with two expected to enter service on 9th. 501 will replace 1020 which is to be branded for routes 12/20. Thanks to Brian Coney for this. First Berkshire Fleet List: 64819 was returned to service at Bracknell on 5th April. 64032 entered service on 26th May, 64037 on 30th May, 64038 on 5th June, 64039 on 9th June, 64033/4 on 13th June and 64036 on 21st June. 41130 transferred from Slough to Bracknell on 30th May, 43833 on 18th June and 41133 on 20th June. 46918 was withdrawn on 20th June. 46924, 46928 went for scrap on 7th June, 46921 on 11th June, and also 60295 on 12th June. Thanks to Matt Wooll for this. 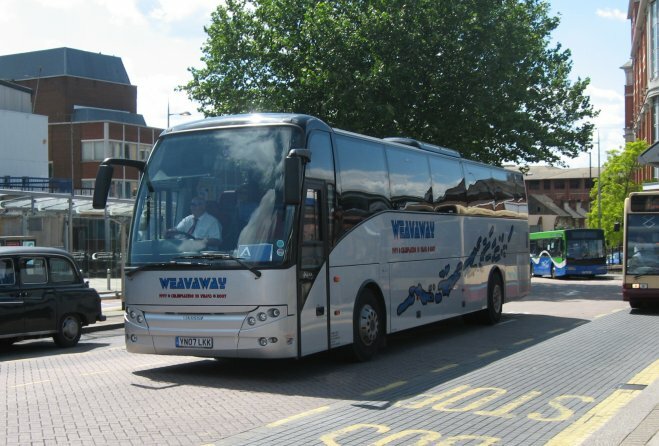 Weavaway Travel Fleet List: The two new Scanias wear a reversed livery of silver with blue Weavaway logos. Thanks to James Cusworth for this. Reading Transport East Lancs Olympuses: NEW PAGE! to detail developments with these vehicle, with new photo of 838 in full livery. Thanks to Alistair Liddle for this. Reading Transport Optare Excels: Details of 911's export added. Thanks to Brian Coney for this. Reading Transport Fleet List: 838 is registered YN07 LFE. Thanks to Alistair Liddle for this. First Berkshire Fleet List: 46921/4/8 have been sold to Erith Commercials, Dartford for scrap. 64791/3 have been repainted into ordinary First livery pending training vinyls. All of these vehicles will be maintained at Bracknell, although won't necessarily be garaged there. Thanks to Brian Coney for this. Stagecoach in Oxfordshire and Warwickshire Fleet List: 20219 has been put into reserve at Leamington, with former Rugby 20223 entering service at Leamington in its place. Nuneaton 31355 has also gone into reserve for body modifications. Withdrawn 14371 was sold to Hardwick, Charlton by 13th June.